When you are a mother of little boys, LEGOs are inevitable. I don’t know one little boy who doesn’t love LEGOs. My own kids play with them and already own WAY too many. And on top of that, there’s the LEGO tv shows, video games, and so much more. One of my favorite LEGO things is the website. They have tons of free games and activities for kids. 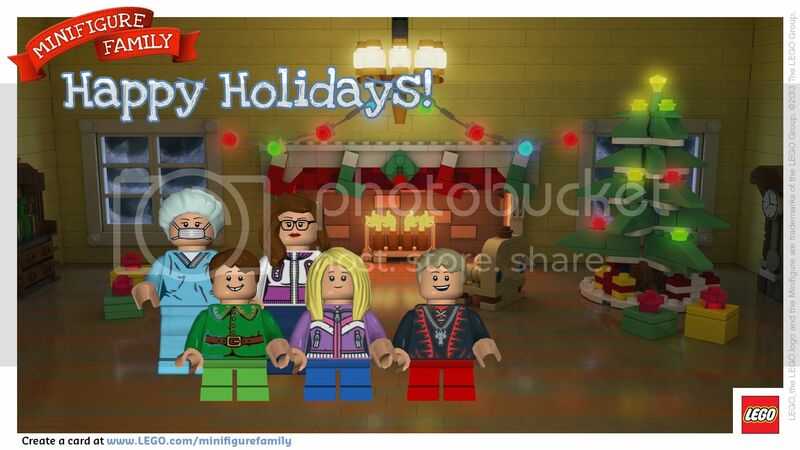 This Christmas, LEGO is letting you personalize a holiday card by making you own LEGO Minifigure Family. It’s really fun and easy to do. My boys and I gathered around the computer and had a blast picking all the features. You can pick out hair, skin color, facial features, shirts, and pants. You also get to choose the background of the picture. We did our minifigure family to look more ‘true’ to what we really look like but we will be going back to make other funny characters.